PROPERTY ADDRESS: 4702 WEST 17TH STRRET, LOS ANGELES, CA 90019. BUILDING MANAGER TEL. NUMBERS ARE 818-776-0059, 818-922-4286. PLEASE CALL BEFORE IT IS TOO LATE. WE ALSO HAVE 1=1 AND 2+2 VACANT. SPECIAL DEAL FOR PEOPLE WHO CAN MOVE QUICKLY, HAVE GOOD CREDIT AND CAN AFFORD TO PAY THE MOVING COST, IN FULL. LOOK NO FURTHER, WASTE NO MORE TIME SINCE YOU HAVE FOUND YOUR FAVORITE UNIT.WE WILL INSTALL A BRAND NEW SOD WITH ROSE FLOWERS IN THE FRONT OF THE BUILDING, AWAITING SOME REASONABLE AFFORDABLE ESTIMATES. THE CURB APPEAL WILL LOOK MUCH BETTER. PLUMBING IS MOSTLY UPDATED WITH COPPER PIPES. DREAM COME TRUE CHANCE FOR A UNIQE HUGE CLEAN SHICK UNIT IN MIDCITY/MIRACLE MILE AREA WITH GREAT VIEWS OF BEVERLY HILLS, MIDCITY, CENTURY CITY AND HOLLYWOOD SIGN. PLEASE HURRY BEFORE IT IS TOO LATE. SECTION 8 PEOPLE ARE ALSO WELCOMED.OPEN HOUSE WITH APPOINTMNET. YOU WILL NEVER HAVE A CHANCE TO GET THIS UNIT IF YOU DO NOT SEE IT IMMEDIATELY AND IF YOU DO NOT FILL OUT AN APPLICATION. ALL TERMS ARE NEGOTIABLE. MOVE IN IS FIRST MONTH RENT PLUS SECURITY DEPOSIT.WE WILL WORK WITH YOUR BAD CREDITS.MINUTES AWAY FROM 405,101,110, AND 10 FREEWAYS. PLEASE DO NOT MISS OUT ON THIS GOLDEN OPPORTUNIY BEFORE IT IS TOO LATE AND SOME ONE ELSE TAKES THIS UNIT. PROPERTY ADDRESS: 4702 WEST 17TH STRRET, LOS ANGELES, CA 90019. BUILDING MANAGER TEL. NUMBERS ARE 818-776-0059, 818-922-4286. PLEASE CALL BEFORE IT IS TOO LATE. . THIS IS TWO STORIS BUILDING WITH EIGHT UNITS.IT IS VERY WELL LIGHTED AND MAINTENANCED.VERY CLEAN AND QUIET BUILDING. FLEXIBLE LEASE. LAUNDRY ON SITE. 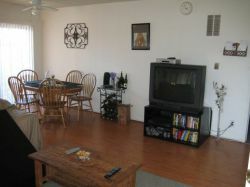 REMODELED kitchen, big closet, , ceiling fan, outside lighting, secure, Near Miracle Mile, VIEW.NO DOGS AND NO CATS. BIRDS AND LIZARD ARE OK..NO EMAILS PLEASE CALL THE MANAGER DIRECTLY,ALL TERMS ARE NEGOTIABLE. CABLE AND INTERNET READY. WE PAY FOR WATER, TRASH AND OUTSIDE LIGHTING. ERACH UNIT HAS ITS OWN GAS AND ELECTRICAL METERS.YOUR MONTHLY GAS COST IS ABOUT $10-15 OR HIGHER AND ELECTRICITY ABOUT $35-45, , OR HIGHER approximately. IT HAS VERY LOW UTILITY COSTS. THE UNIT IS VERY QUIET,HUGE AND CLEAN. WE WILL RESPOND TO ALL RECEIVED CALLS .CLOSE TO SCHOOLS .FIRST COME FIRST SERVE BASIS. YOU WILL STAY HERE FOR A LONG TIME SO LONG YOU PAY YOUR MONTHLY RENT ON TIME AND IN FULL AND GET ALONG WITH OTHER SEVEN TENANTS.NEW VERTICAL BLINDS IN LIVING ROOM AND BEDROOM. Click here to schedule a showing or ask a question. Just fill in your name and email address to receive a daily email with new listings like this one. View rent statistics for Los Angeles. View rent statistics for zip code 90019. Get free quotes from several movers. Hi, I'm interested in your rental. Please contact me. I would like to schedule a time to view it. Thank you.